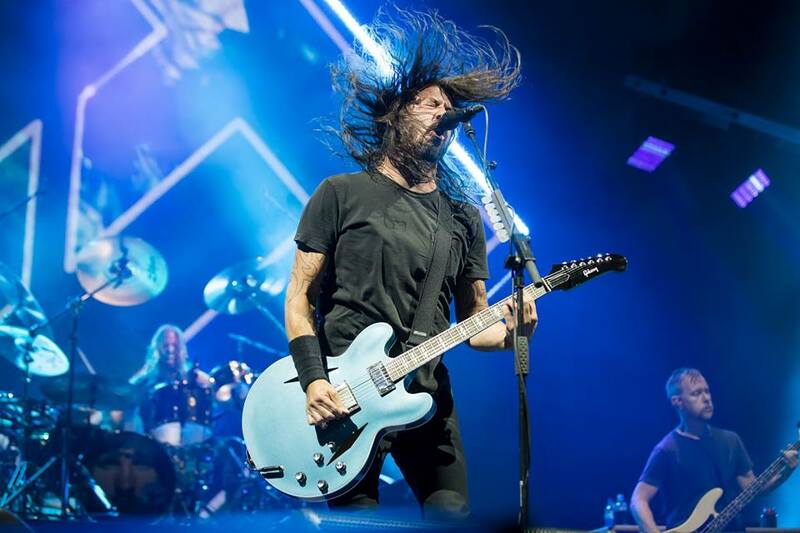 The Foo Fighters will headline the UK’s Reading and Leeds festivals next summer as part of a just-announced 2019 European tour. The pair of festival events over the August 23-25 weekend – alongside fellow headliners Twenty One Pilots, The 1975 and Post Malone – will be preceded by another new tour addition: an August 17 appearance at Summer Sessions at Bellahouston Park in Glasgow. Tickets for the new UK dates will go on sale on Friday, November 23 at 9am local time via the usual outlets. While the Foo Fighters are enjoying a break for the upcoming holiday season, Dave Grohl will deliver the debut live performance his epic solo recording “Play” at Warren Haynes’ Christmas Jam 30 benefit concert in Asheville, NC on December 8. Grohl will be accompanied by other rockers – to be announced – to recreate the recently-released film and audio project that documents the live recording of a solo 23-minute composition that sees the multi-instrumentalist Foo Fighter perform the song on seven instruments over the course of three days in the studio. Proceeds from Christmas Jam 30 will benefit the Asheville Area Habitat For Humanity and will go toward constructing energy-efficient new houses as well as purchasing and developing land for entire Habitat subdivisions; to date, the Jam has raised over 2.3 million dollars for the organization – to learn more and/or to donate directly, visit ashevillehabitat.org.